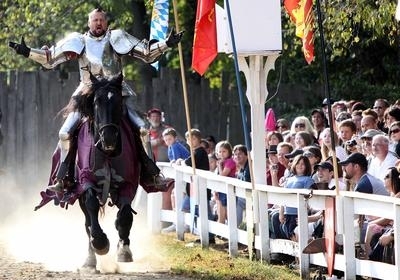 I hope you other American folks out there enjoyed your Labor Day and the rest of you are having a good time with whatever is going on in your hometowns. I spent my holiday feeling very ill indeed, but a few days and a lot of chicken soup later I’m feeling much more myself. The fact that it’s starting to feel like fall has also helped to lift my spirits! The all of the colorful shops! Oh the shops! I could easily blow thousands of dollars in one day. 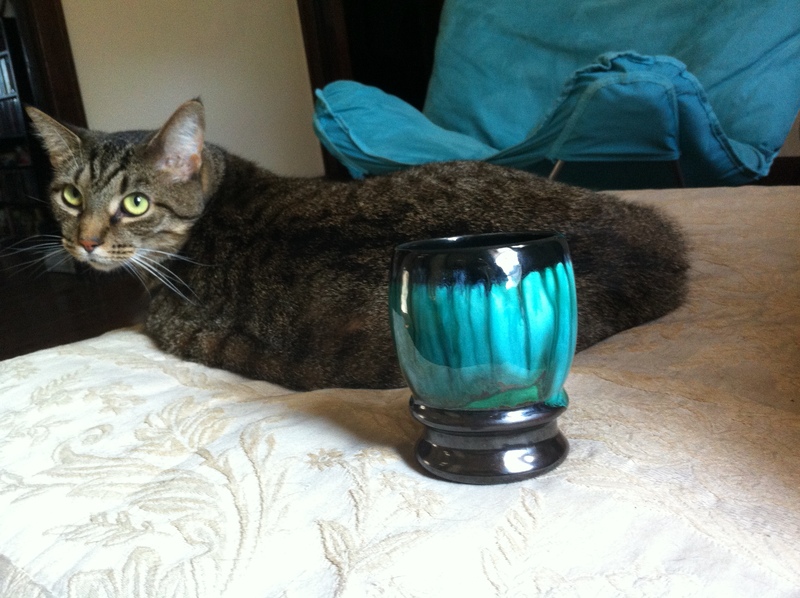 I did manage to restrain myself and buy a simple glazework tumbler from a handmade ceramics shop. I spoke with the Sara and her husband (the owners of Hearthstone Arts) for a bit and she told me how each piece was made and what methods she used. The talent is absolutely stunning, so go check out their site! 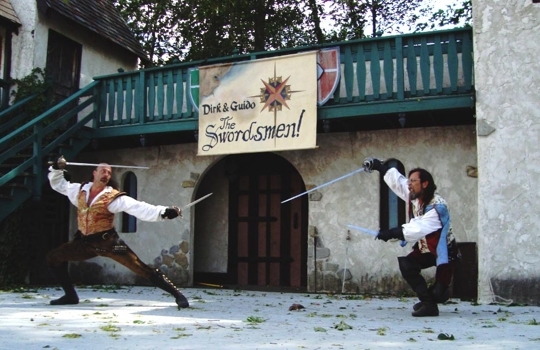 After a day at the Ren Fair, the crew that road in my car (we had to take two cars since we had 9 people) decided to take an unexpected stop on the way home. 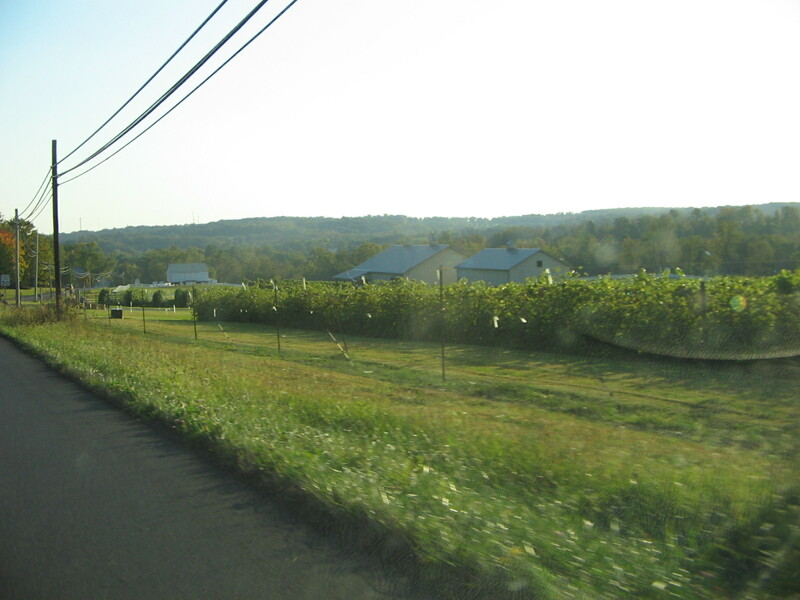 Remember the vineyard I showed you a picture of last fall? 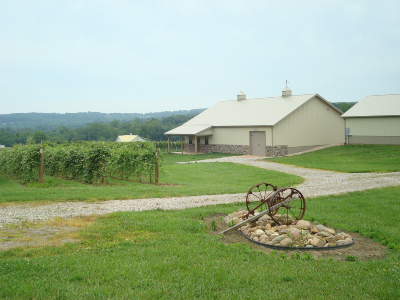 This is about 5 miles from my house and it opened to the public just this past May, seeing as the first vines were planted just 5 years ago. I commented as we drove past that I wanted, at some point in time, to stop inside and see what the place was like. My passengers decided it was time, so we turned around and in we went! 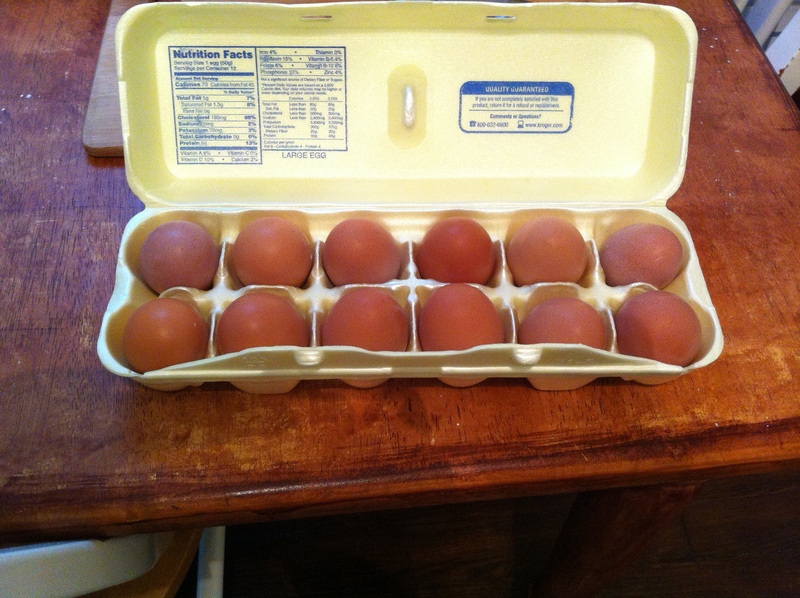 Speaking of homemade/homegrown, I was gifted some lovely eggs this past week! Eric’s chickens have finally started laying 🙂 Well, all of the chickens except the one that decided to grow up into a rooster. Mr. Rooster is quite impressive isn’t he? On the yarn front, I have been quite busy! I finished the gloves/mitts I was working on and still have two small cakes of the yarn left over. I’ll get that photograph at some point! 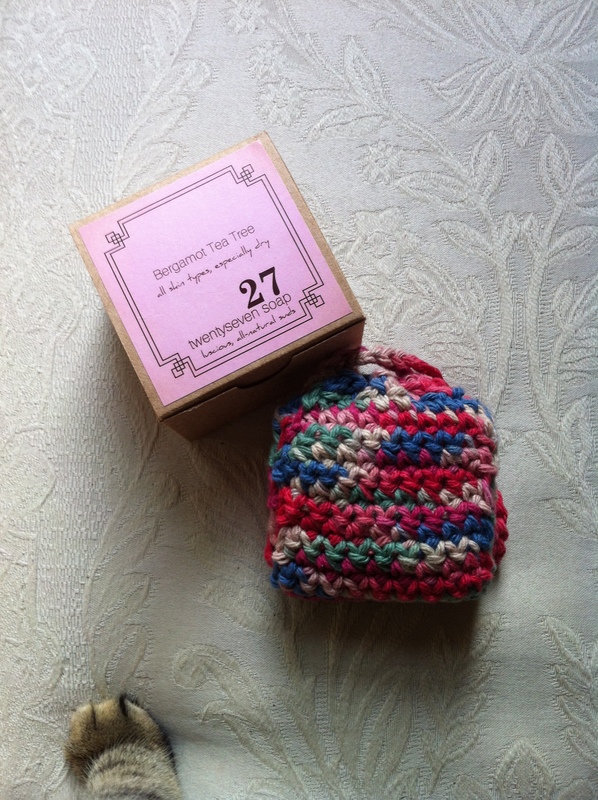 I also started and finished another convertible hat in that run rainbow sequin yarn. I love the way it striped up! I got rid of one of two skeins of the rainbow/sequin yarn with the hat, I used up half of the Astral yarn with my gloves, and I’m using up some of the leftover yarn from this scarf I made last winter. The scarf was crochet and the mittens are obviously knit. 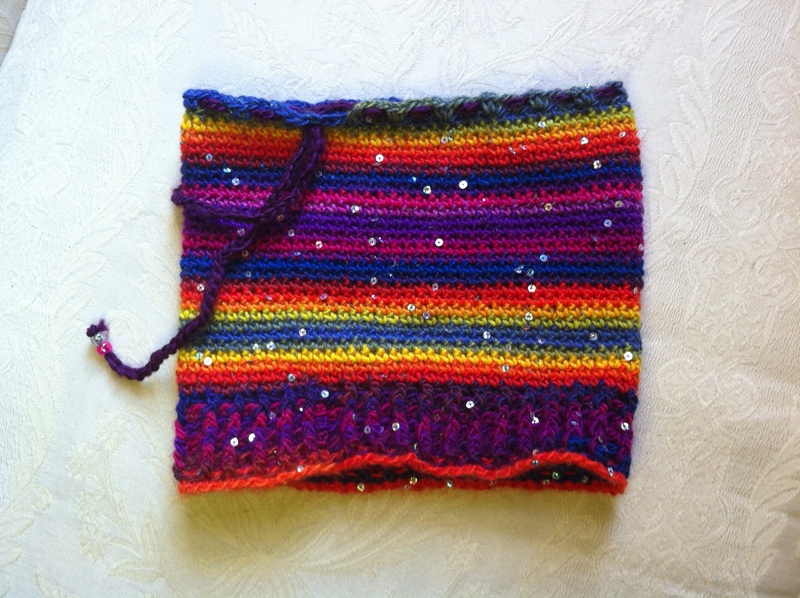 I loved the yarn when crocheting and I love it when knitting. 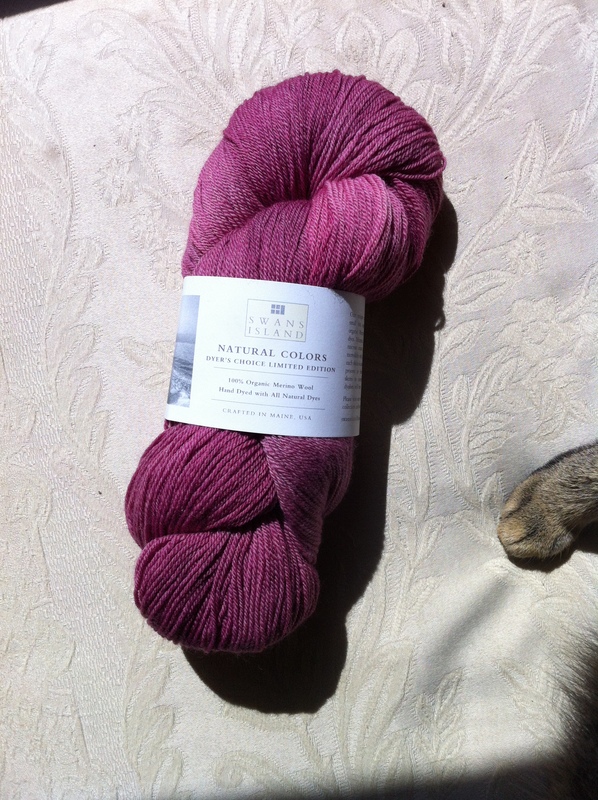 Malabrigo is officially when of my all time favorite yarns! Fluffy, stretchy, not splitty, and splendid colors. Hurrah! Alright everyone. Sorry for the long post! That’s what happens when I miss a week’s post. My work schedule is changing next week and I will be working on Mondays so we’ll see what day ends up being my new post day! Have a wonderful week! We also got some more rain this past week. Hurrah! 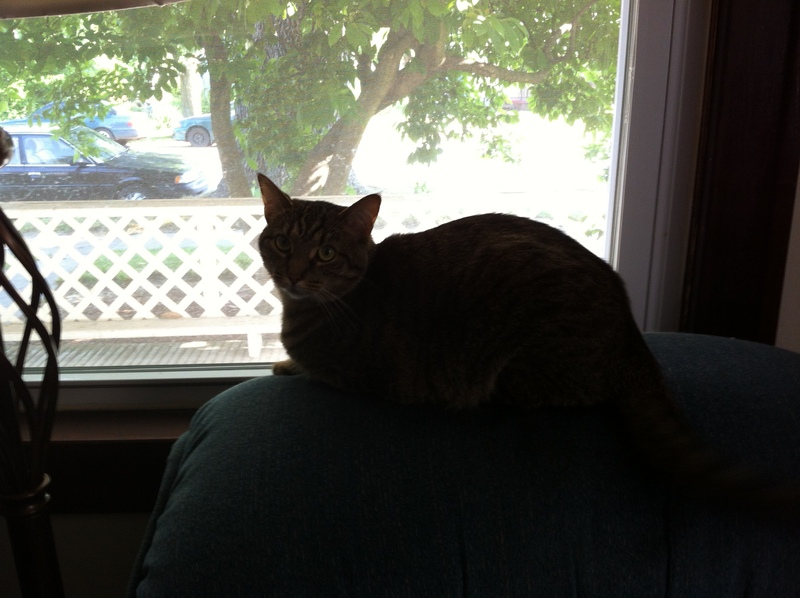 It was another huge storm, but not quite as damaging as the one we had the first week in July. It rained more steadily for a longer period of time (still only an hour) after the first few minutes of insane wind and torrential downpour. The ground simply drank up all of the water faster than I would have thought possible. 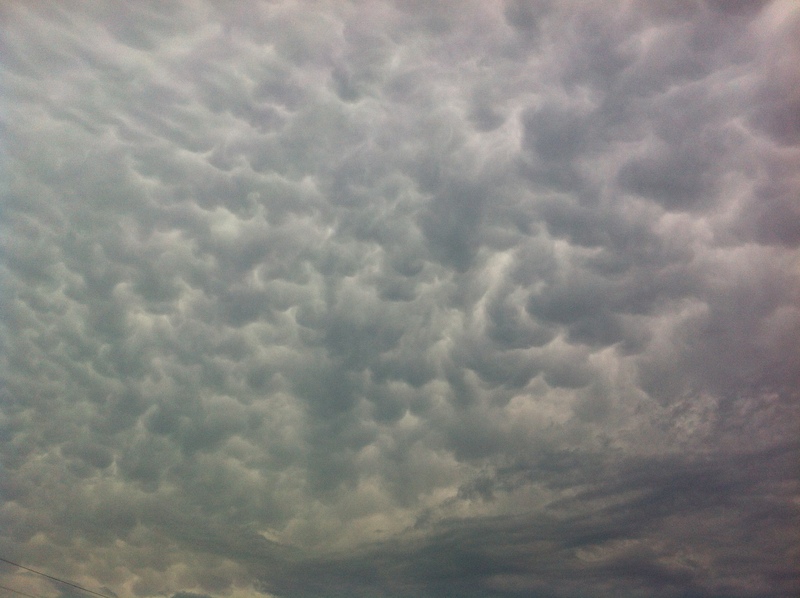 After the rain stopped the clouds had the most fascinating cloud formations. I love looking at clouds! 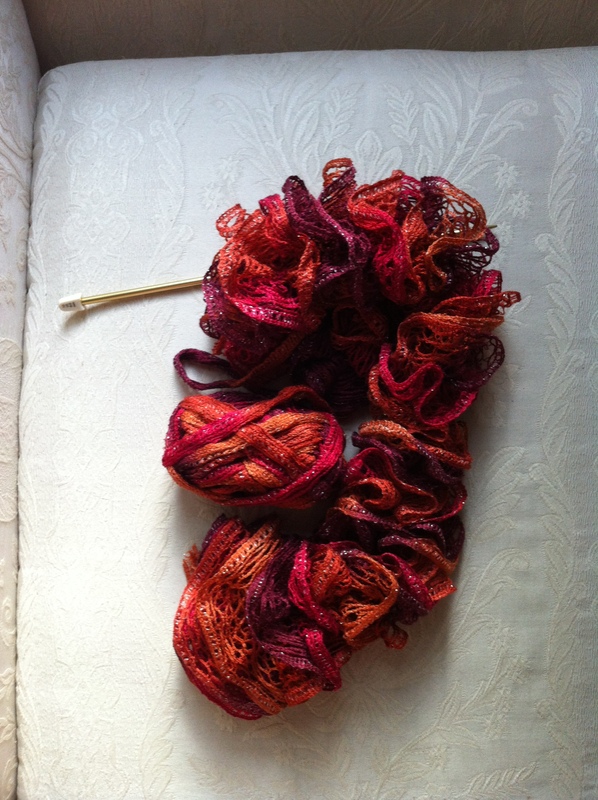 In relation to the title of this post, I have been a busy knitter this past week. 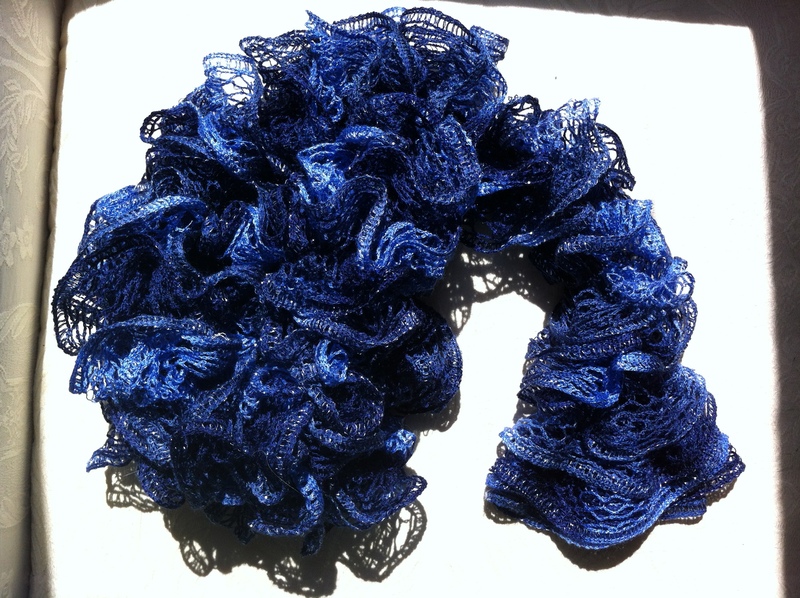 I didn’t get to start my socks as I had anticipated; I got onto a bit of a ruffle scarf jag. I started the first one last Monday or so. You can see it in my last post. I finished that one after a period of time and I figured that I would whip up the other two fairly fast. I love to feel like I’m working my way through some of my stash, particularly when it’s relatively quick projects for my craft sale! Which one do you like? I love all of the colors in 2 but being such a big fan of autumn has me pondering 3. I think I might keep one for myself! 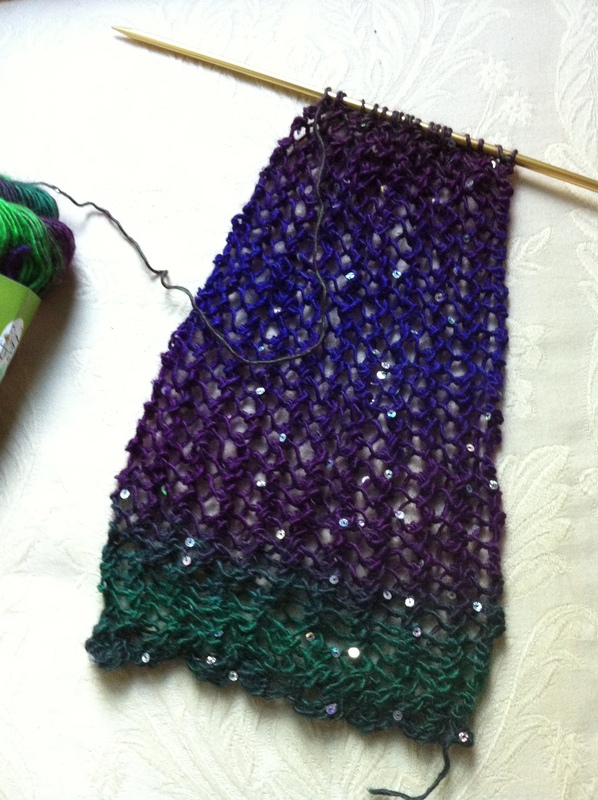 You can’t really tell by looking at the scarf, but the yarn for scarf 2 is actually in a dark rainbow pattern. 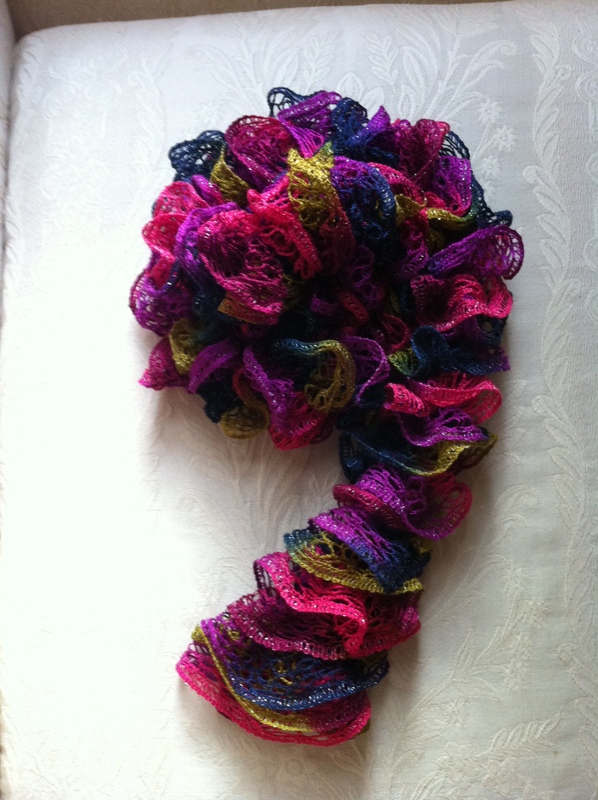 I’m nearly done with that third scarf, and that will be the end of my ruffle yarn. Then I can get on with my other knitting! 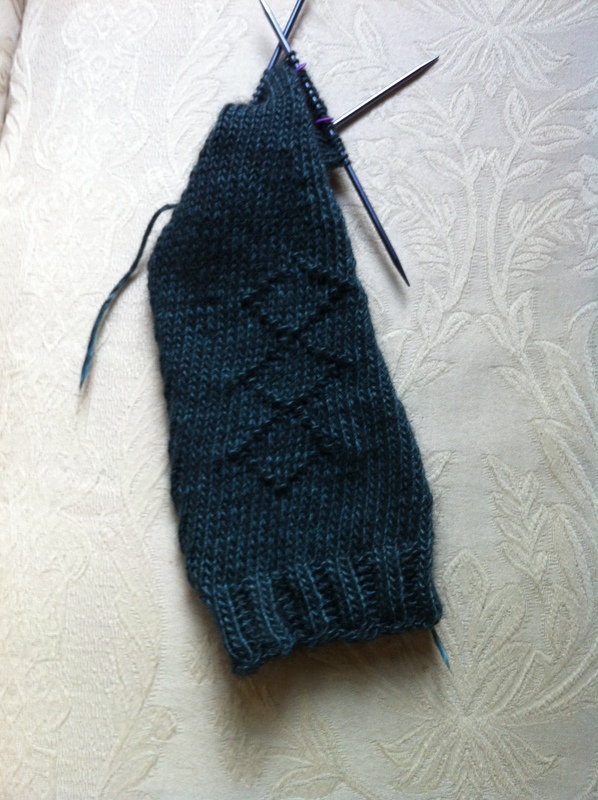 I have worked a bit on my long-lost diamond mitt the past week and it will be done this next week. I officially set those yarn goals for the next week: finish ruffle scarf 3, finish diamond mitt 1, start diamond mitt 2 and start my first Lacey sized sock! 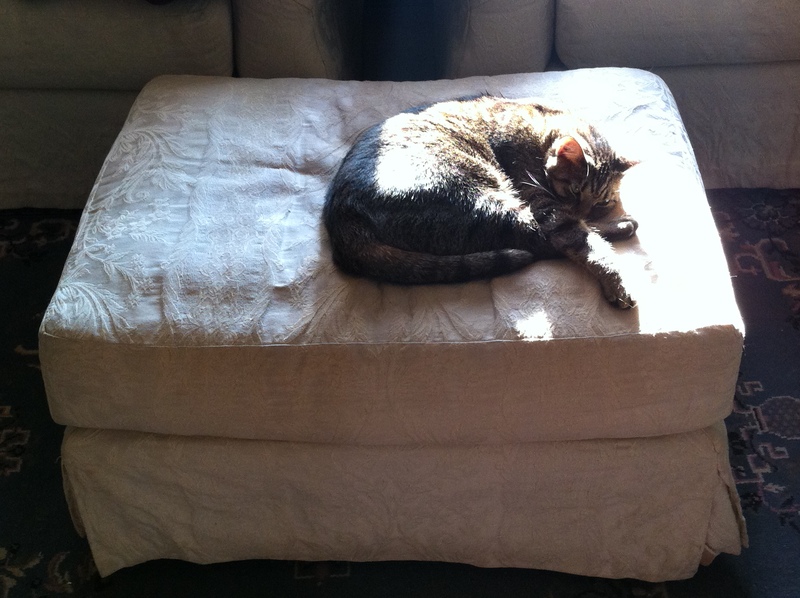 May your next week bring you peace of the sort that Mina exudes when curled up in her sunbeams! Sorry to abandon you all last week. I’ve been going through a challenging time lately and I just couldn’t bring myself to think of anything worth while to write. This week honestly hasn’t been any better, but I at least have a few things worth sharing! Bryon and I had a lot of fun escaping our house to spend some time visiting with some new friends from church. 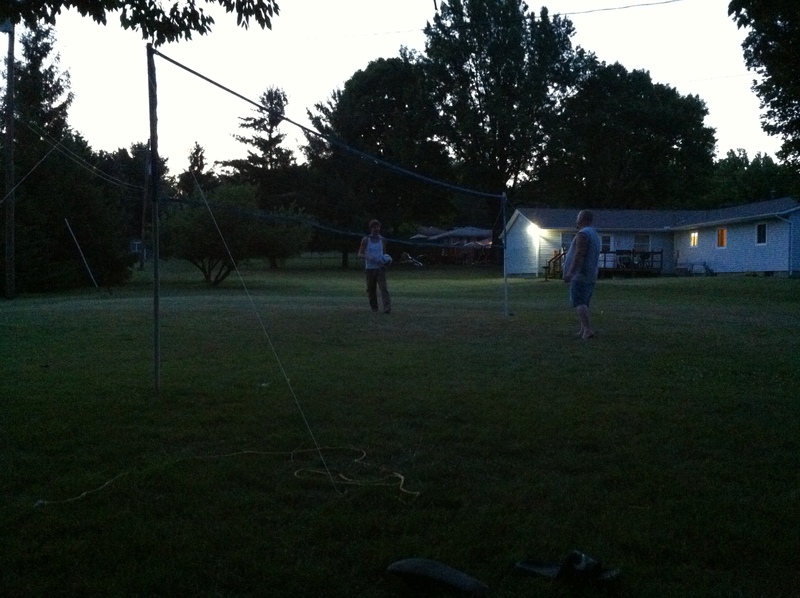 The whole family of our friends plus us gathered at their place this past Friday to play some volleyball, which was both fun and entertaining 🙂 Bryon and Chad continued to play even after the sun set and the rest of us sat down to rest. 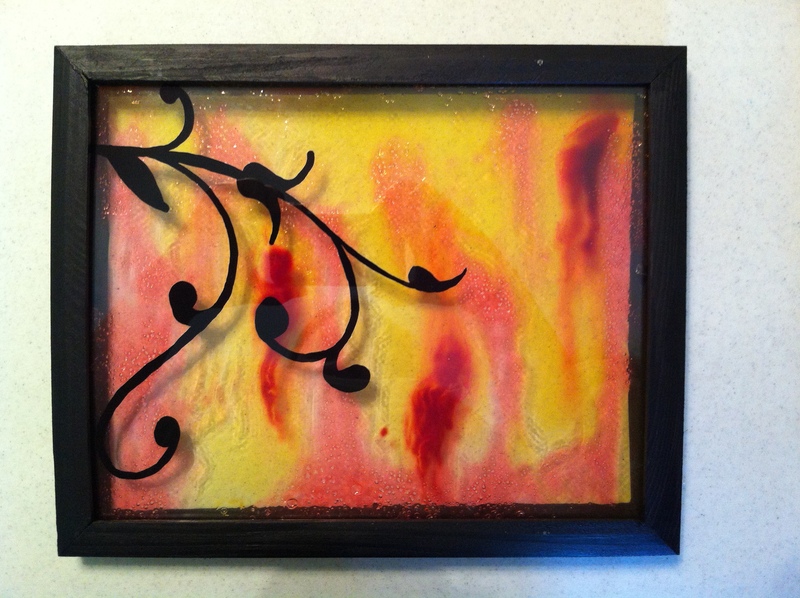 I also got over to my parent’s place to finally get a picture of the little glass panel I got her for Mother’s Day! 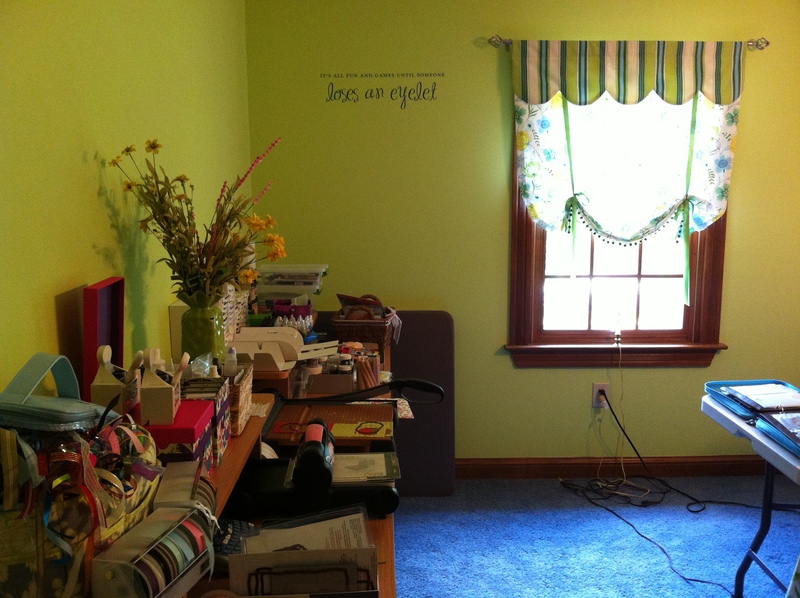 It’s situated nicely on the wall in her craft room (formerly my sister’s bedroom). 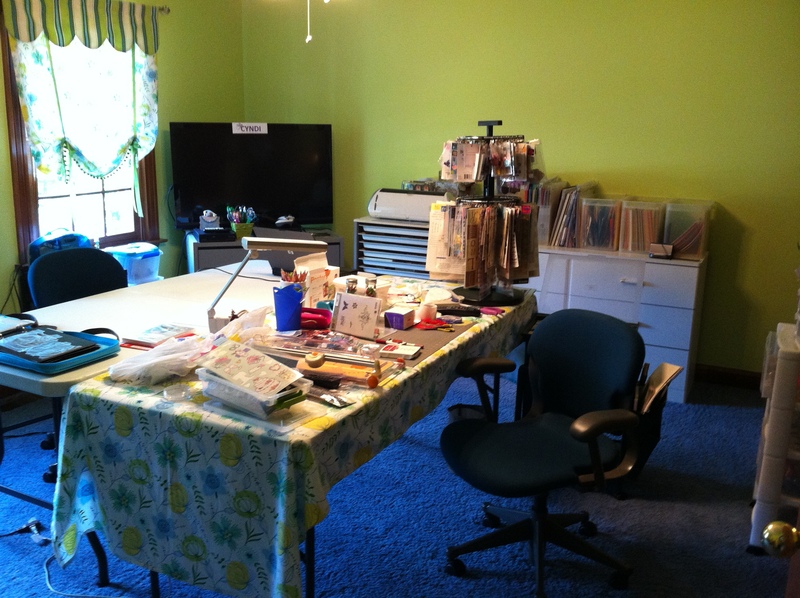 I must admit I’m very jealous of her having a whole room suited to hobby! To top off the weekend was Father’s Day! We surprised my dad by having the whole clan plus (mom, dad, me and my husband, my sister and her husband, my brother, my dad’s dad, and my dad’s brother and his wife) meet at a special little restaurant up in Columbus for lunch. Thurman’s Cafe is a little hole-in-the-wall joint known for its burgers and has even been featured on Man vs. Food on the Travel Channel. After much waiting and eager anticipation for the food we’d heard so much about, our sandwiches arrived. Dad and Cameron (my brother) decided they were man enough to order the Thurmantor, which is monstrous. The rest of us kids ordered regular Thurman burgers. Every burger is 12 ounces of beef. A standard Thurman comes with the beef patty, 4 ounces of ham, mozzarella cheese, American cheese, lettuce, mushrooms, sautéed onions, tomato, pickles, banana peppers and mayo. The Thurmanator has, in addition to everything I just listed, a second burger and a heap of bacon! There’s a disturbing sense of pride when I say everyone at the “kids” table cleaned our plates. 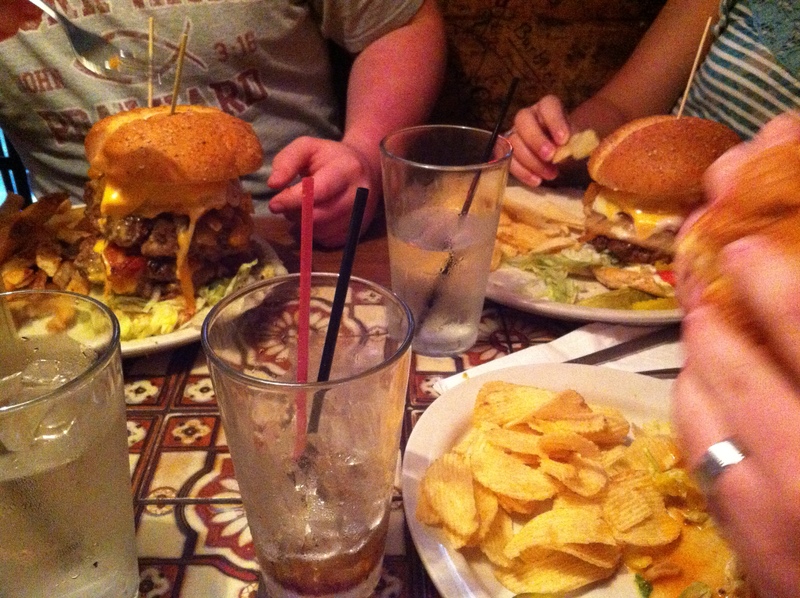 Here is a glimpse of Cam’s Thurmanator on the left and Sara’s Thurman burger on the right. The wait was outrageous as we expected but the food was MARVELOUS. Splendid flavor. If you’re ever in the Columbus area, love burgers, and have time to wait on a table, I highly suggest you give it a try! On to the yarn front! 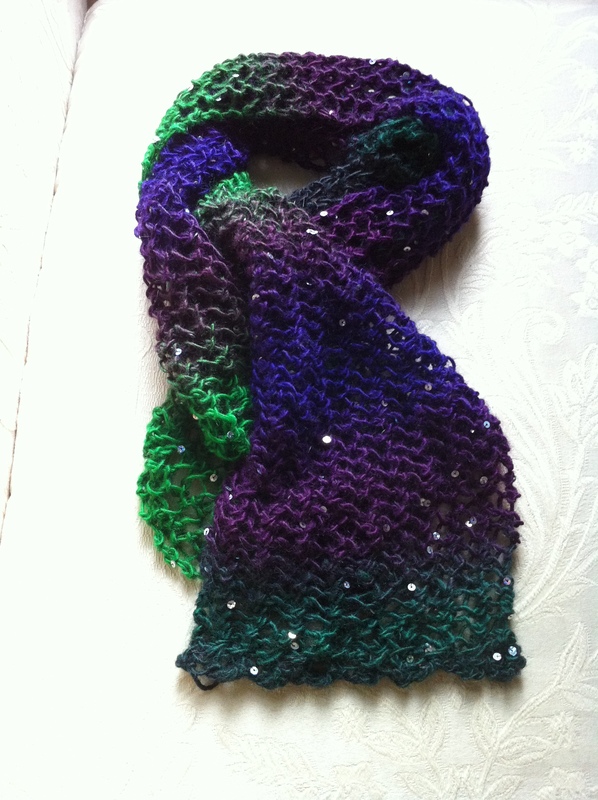 I finished my sequin scarf 🙂 I adore the shine and self striping aspect of the yarn! A couple posts ago I mentioned that I had bought from handmade soaps from The Loopy Ewe and I finally got around to making a cotton sack for it today. 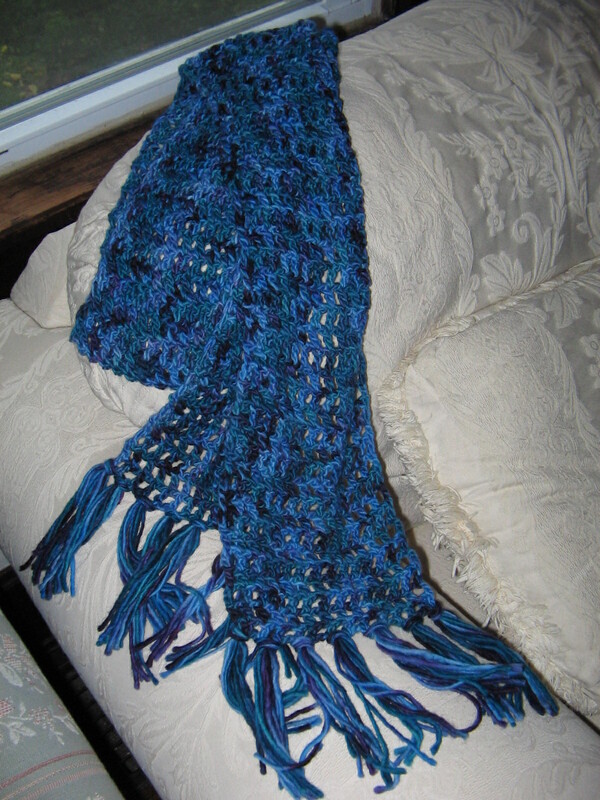 Unlike the last one I made, this one was 100% cotton from some leftover cotton I had when I first learned to knit. I’m curious to see how it works in the shower as opposed to the cotton blend I used before. My last project I’ve been working on lately has been those arm warmers. I’m still on the first one, but it’s shaping up nicely. Like I said, the shape is nice, but unfortunately I thought I’d try to be crafty. I wanted to put a little diamond design on the top and what I thought would be the top no longer seems to be the top since I’ve started the thumb gusset. Oh well. The way it’s going, I might be able to wrangle it around so that this is for the left arm instead of the right. 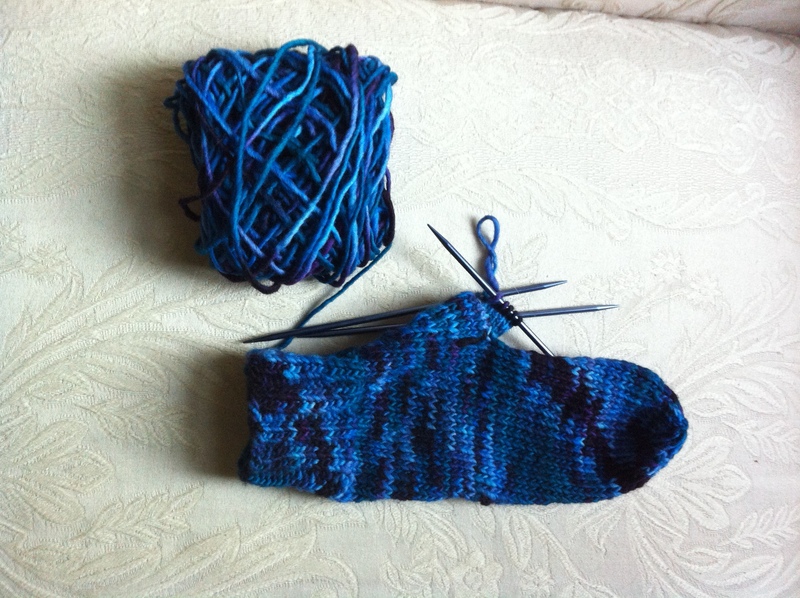 The thumb seems to worked its way around amidst all of the decreases and increases. I’ll let you know how it turns out! Keep me in your thoughts and prayers and let’s hope for a good week all around! Well everyone, it’s official. Memorial Day has come and gone, all graduations around here are over, and the lightning bugs (or fireflies if you prefer) have begun lighting up the night. Summer is here! 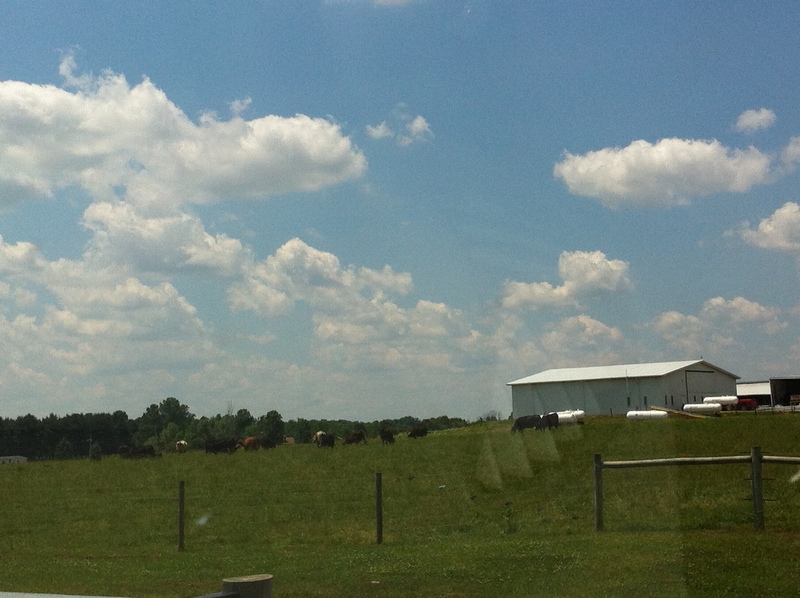 The weather is sunny and there are almost always puffy white clouds in the sky. I love how Ohio looks this time of year! 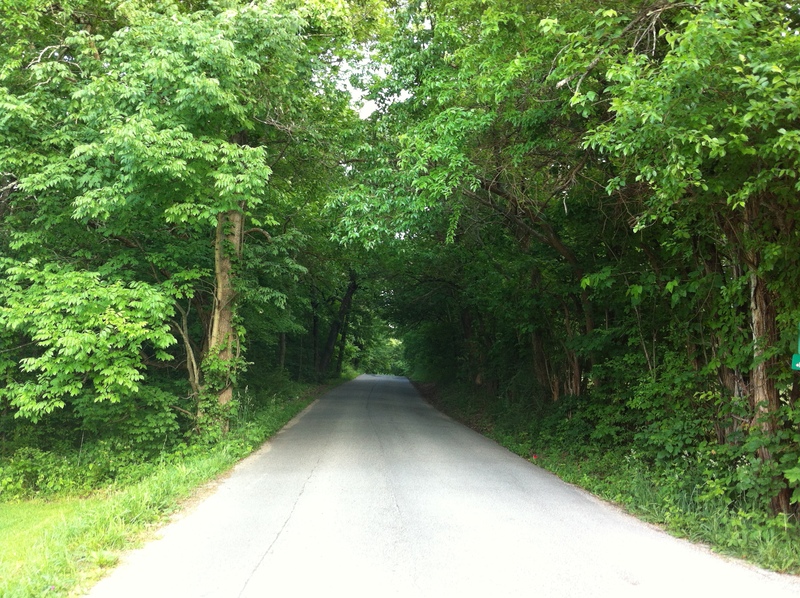 A road I love to drive down. So much green! I’ve begun visiting the farmer’s market again now that my Saturday mornings are void of graduations, bridal showers, and the like. 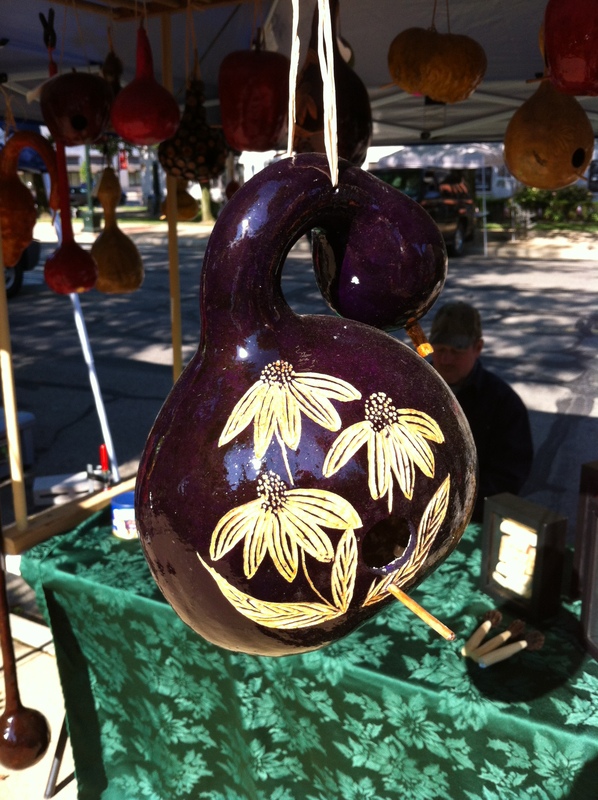 It was GORGEOUS this past Saturday and I spent quite a bit of time visiting the booths of both the artists and the farmers. I deeply admire crafty skills and I had to share pictures of these particular birdhouses. 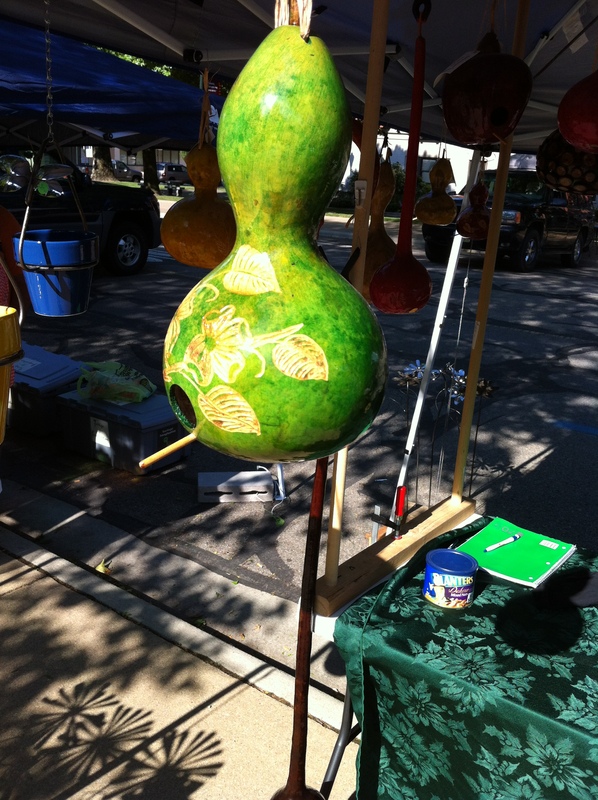 These hollow gourds turned birdhouse were beautifully etched and I would have liked to have bought one. I had just bought a pretty frame of stained glass from another vendor though and I needed to be conscious of the money in my wallet. I forgot to get a picture of the glass before it was gifted to my mother; it matches her new craft room nicely 🙂 I also got some air fresheners from a 10-year-old boy who had his own booth. He made them himself and was very proud to tell me all about how they worked! In the homegrown area of the market, I got some fresh leafy greens, a loaf of bread, and some blended herbal tea. Mina immediately took to the tea when I tried to photo it. 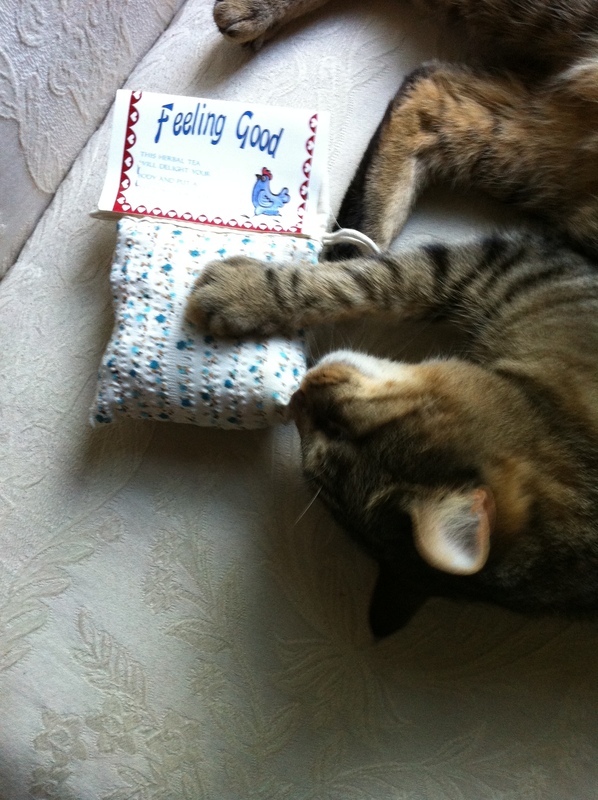 If there weren’t an ingredient list on the back, I’d swear there was catnip in it! It’s a blend of chrysanthemum, lemon grass, orange peel, and powdered acai berry. It smells lovely but I can’t try it until I get a filter for loose leaf. Sigh. Anywho, Mina has been happy lately as well. Like I had mentioned in my previous post, she was recovering from a bout of fleas, as well as tummy flu. She’s her normal, snuggly, ornery self now. She also had to involve herself after I received some new yarn last week. She snuck her paw into the view right as I snapped it. I couldn’t pass this up since it was a special edition of this yarn and it just looked yummy! I ordered some handmade soaps along with it and when it arrived, the whole package smelled lovely! I love The Loopy Ewe 🙂 A smidge pricey perhaps, but I end up spending a ridiculous amount of time squishing each and every hank I order from there. There isn’t exactly an LYS around here so it’s a treat to buy wool from them instead of a mostly acrylic blend from a chain store. As I’ve mentioned before, it’s hard to find much wool around here. 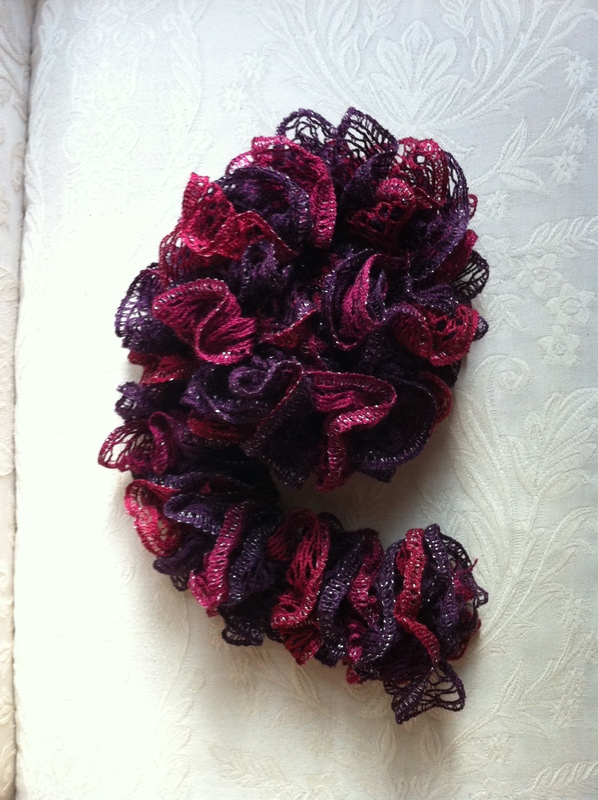 I finished my second ruffle scarf and have moved on to another scarf, but this one is for personal use instead of the craft show. I’m loving the self-striping aspect and the sequins. I also learned how to do a scallop edging with this pattern! 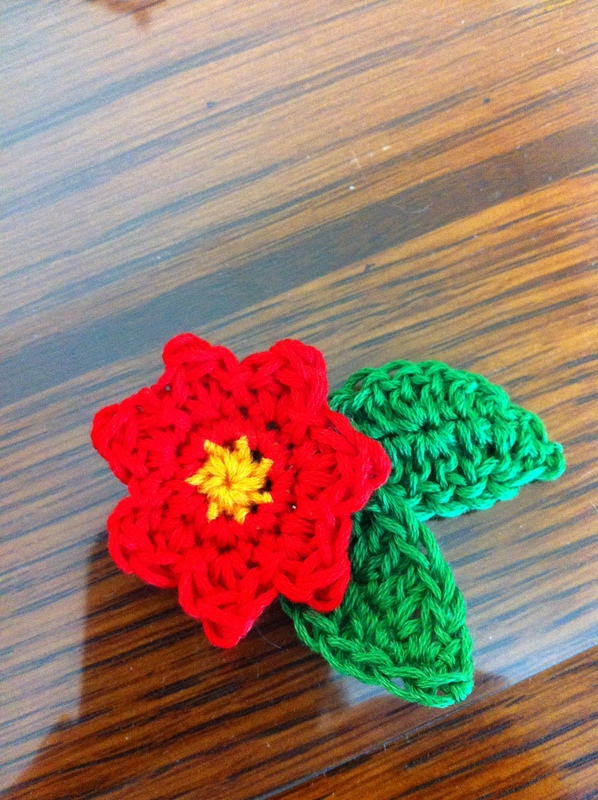 It’s so fun to learn new things with my knitting! I still need to learn cables. I keep hearing that it’s not as hard as it looks, but they still seem a bit intimidating. In the meantime, I have this scarf and my arm warmers to keep me busy. I’m still plugging away on the first one! Have a wonderful week and I hope to not be away as long this next time! I hope you all had a wonderful weekend! Judging from some of the other posts I’ve read recently, it has been sounding like things have been a bit rough lately. I hope my happy post can help cheer some of you up. 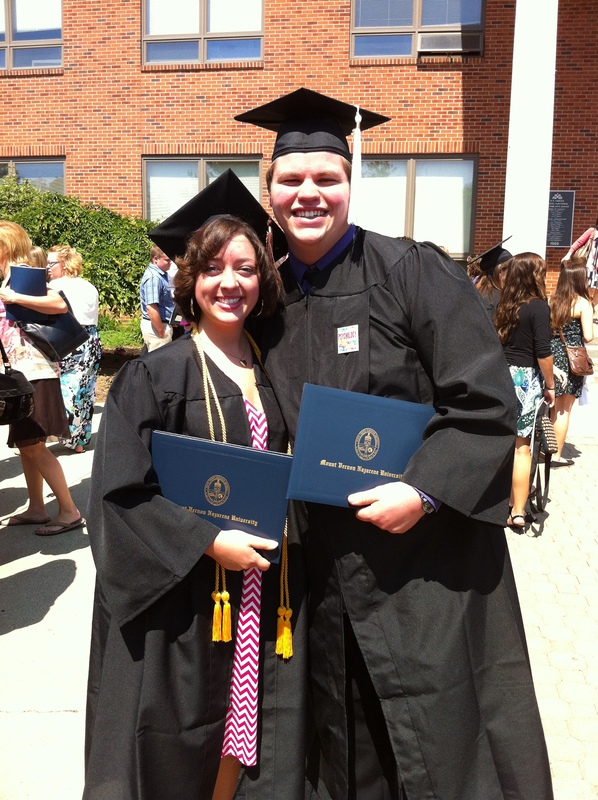 I’ve had a wonderful weekend. I’ll talk about all of the non-yarny things first. 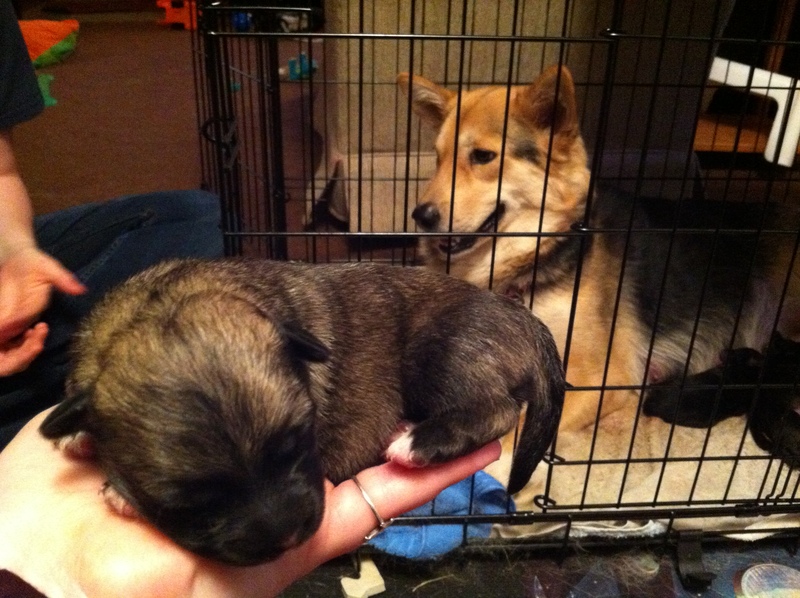 Firstly, one of my friend’s dogs had pups! Don’t think about the mechanics of it, but they are shepherd/yorkie pups and they are adorable! 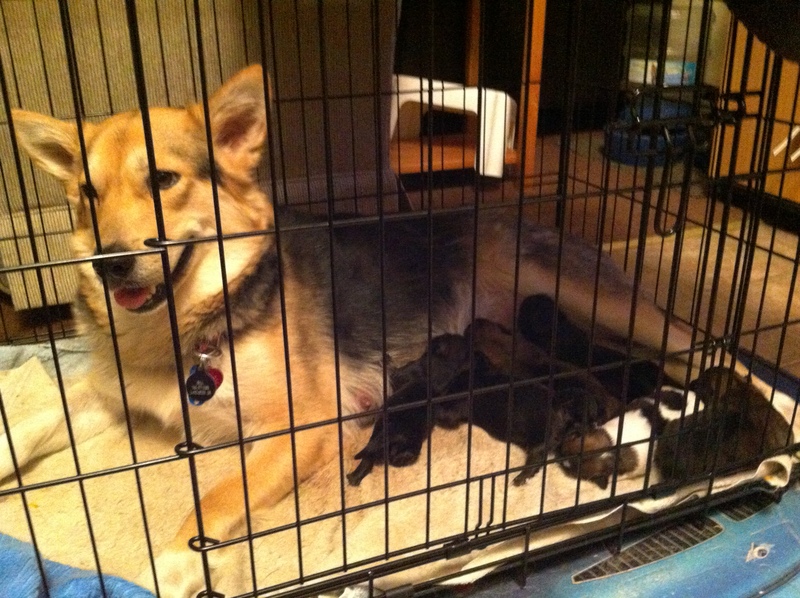 Belle is a beautiful mommy. I got to hold one of the little girls and I wanted to badly to take her home! She is barely a week old in this picture. We have also had some GORGEOUS weather this past week. 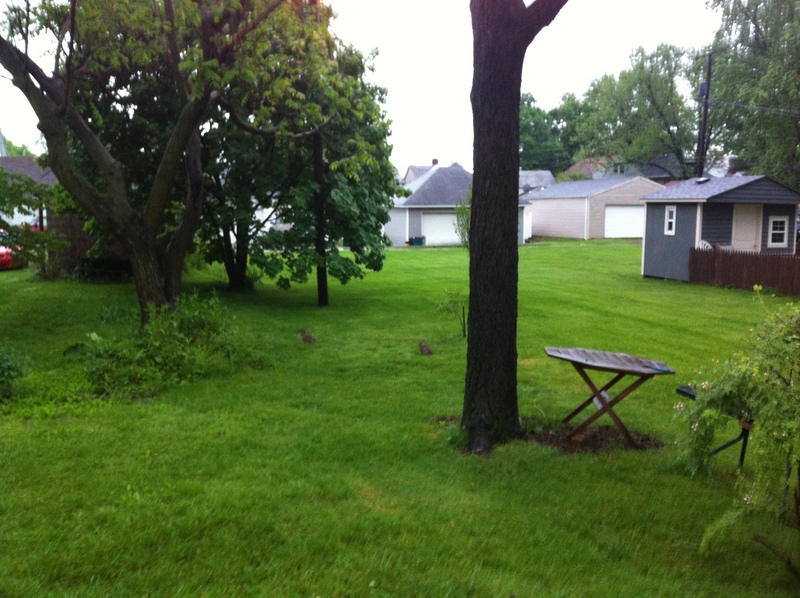 It has brought all of the local critters out in the open, particularly the multitude of bunnies that live in our backyard. Can you see the two bunnies? This picture is from my parents’ backyard. It was just too pretty to pass up. 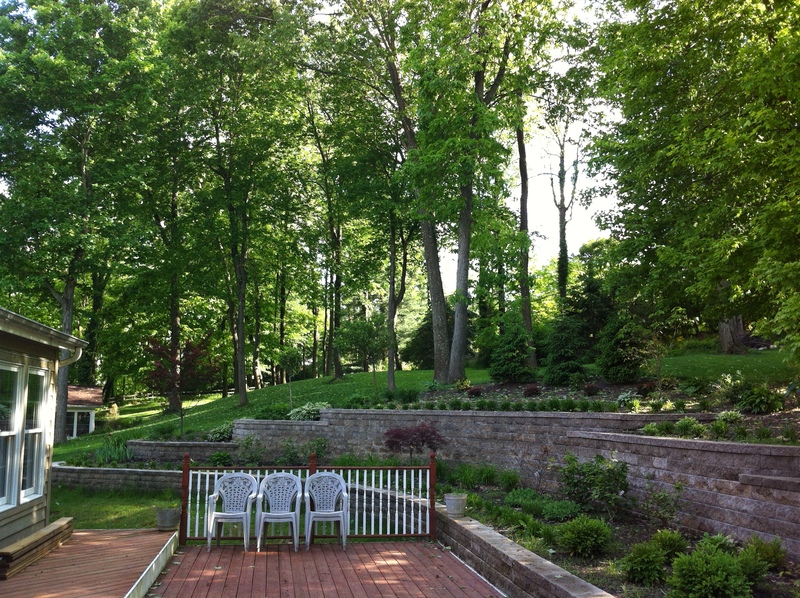 I love all of the green this time of year! We also had a bonfire this evening for our church’s youth group. 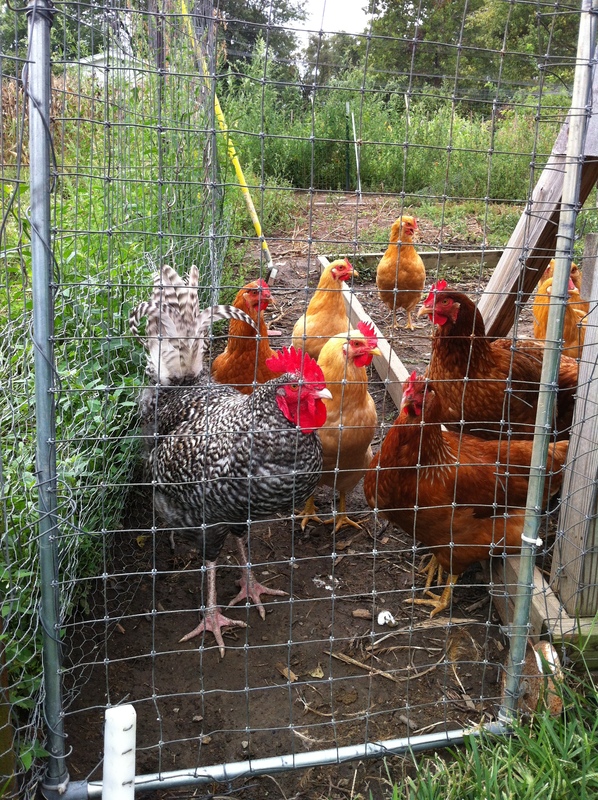 It was held at Eric & Tammy’s house so I got to see the chickens again! 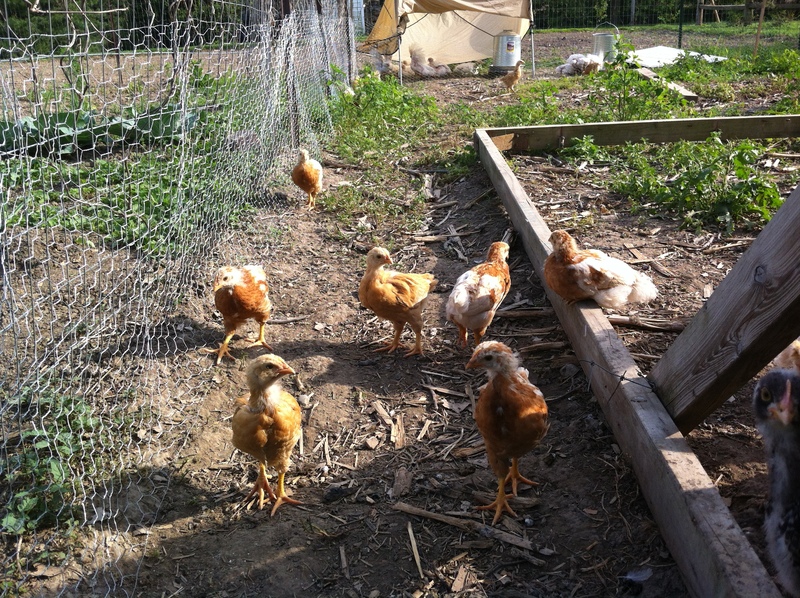 They are growing up nicely and have moved to their outdoor quarters. Ah, happy sunshiney weekend ^_^ Now on to yarny business! 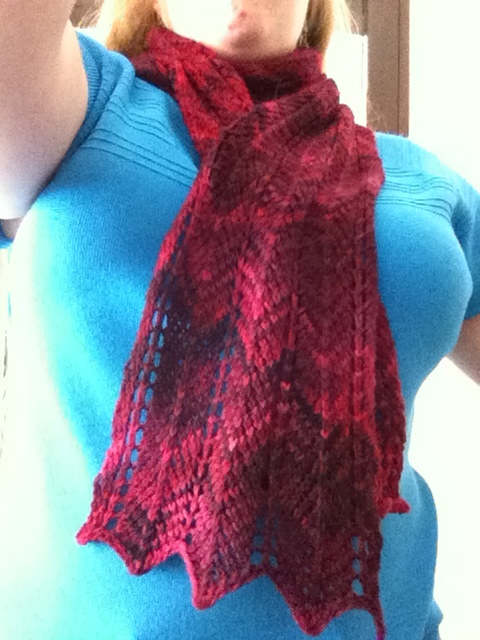 I finally got my chevronish scarf blocked along with the now complete shawl. This is the first time I’ve truly blocked something and wow! Wool really really grows when hot water hits it! It’s about a foot or two longer than I originally planned, but I do like it. 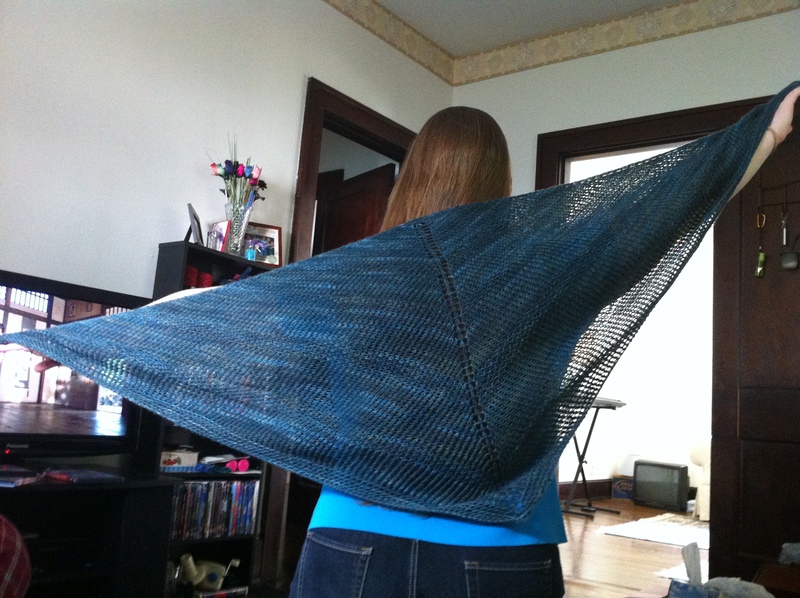 And the shawl grew to a nice size, but the moss stitch rows got a little lost in the process. It will be great to have when fall comes around in a few months! 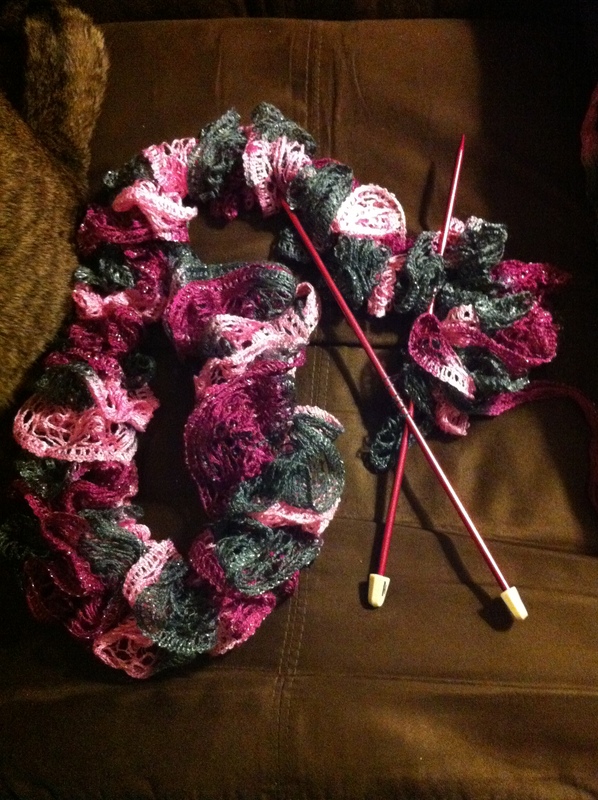 I’ve also got some more work done on my ruffly scarf. I’m so close to being done. It’s been such a quit knit. I can whip these up for the craft fair and they look almost like something from a store! These have been my home projects. I’ve also been working on some stuff during lunch/down time at work at the office. As I’ve mentioned before, my momma scrapbooks. She uses all sorts of stickers/jewels/appliques on her pages and small flowers are apparently are a hot commodity in the scrapbook world. 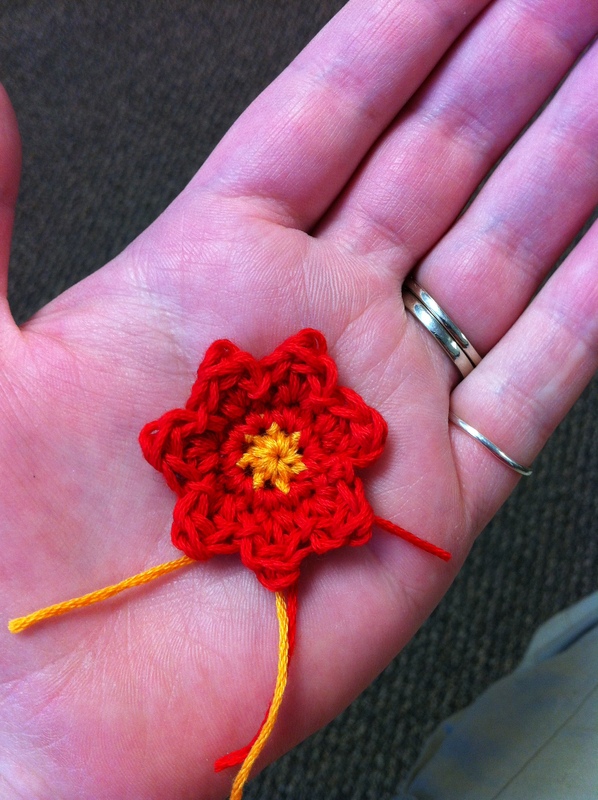 I started experimenting with a tiny hook and embroidery floss and have been working up some tiny flowers! Nothing glorious, but it’s a start! 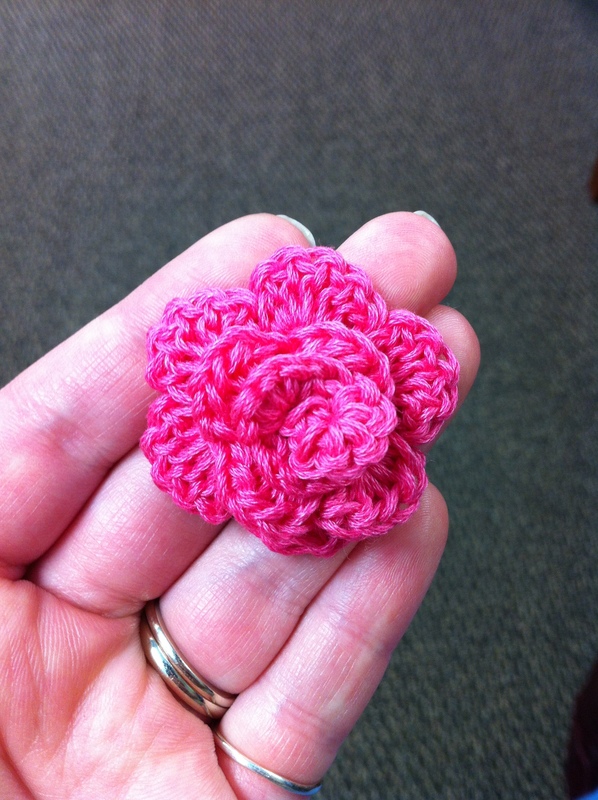 I’m going to be making up a bunch of tiny flowers of various colors and styles for my mom and her scrap buddies. Taa-Daa! Oh, and just as the icing on the cake, Bryon finally found a job! After 4 months of unemployment, he now has a full-time job again, which he started this past Tuesday. Happy, busy, beautiful week 🙂 The only non-beautiful part has been treating our poor Mina for fleas…Buh. Thankfully she’s been taken care of and my paranoia has been subdued. 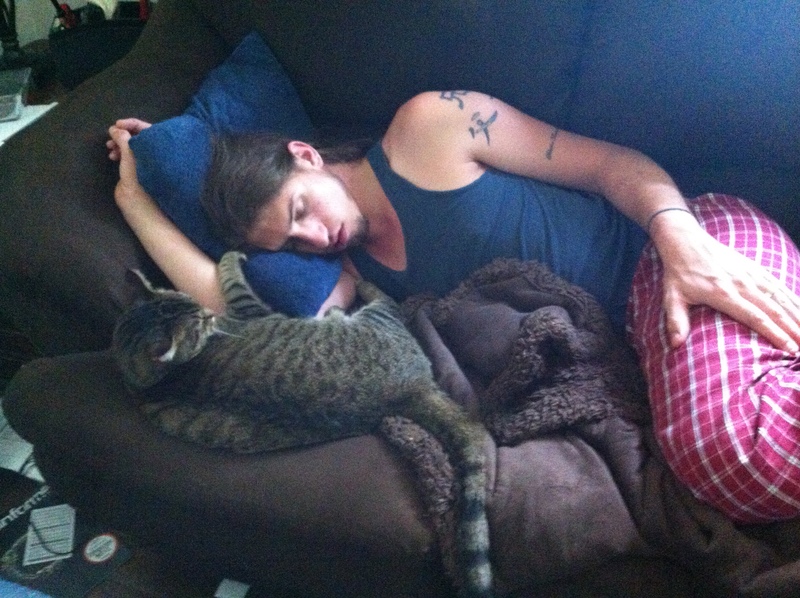 With that exception, I hope this next week is just as wonderful for you all as this last one was for me!